Our attention to detail and level of service provided to our customers are important keys to our overall success. We are able to identify specific goals of our client’s business, determine ultimate objectives and outline challenges they may face; all by becoming a trusted advisor and technology partner. 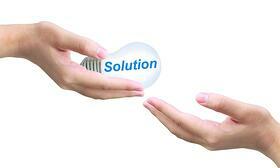 Our IT advisors then are able to create custom technology solutions that help companies succeed. The Channel Company encourages premium IT channel performance with engaging events, expert consulting and education, and innovative marketing services and platforms. They work to connect and empower technology suppliers, solution providers and end users. Visit www.thechannelco.com for more details. To learn more about the Tech Elite 250 list and see who else was recognized, check out the April issue of CRN, and online at www.CRN.com. If you’d like assistance with your IT needs, don’t hesitate to contact our experienced team today.